Lucy Gadd (Storey Racing) has gone toe-to-toe with her closest rivals and come out on top throughout the series up to this point, but her overall lead could have vanished in an instant when she was caught in a pack crash during the early stages of Round 6. 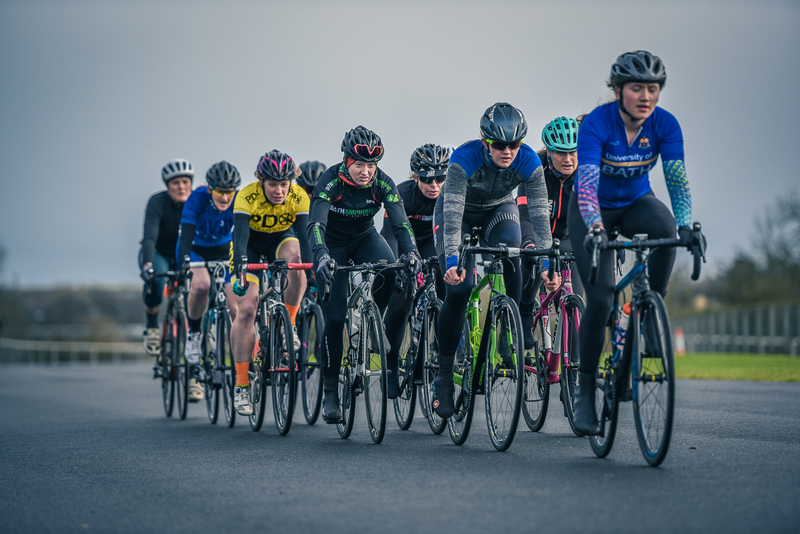 The young rider showed mature composure as she wasted no time in finding her feet and making the chase back to the leaders in blustery conditions at Odd Down. Once the mid-race drama had passed, the field found themselves at a bit of a stalemate with Summer Series rivals Charlotte Berry (Campinense – Velo Performance) and Lauren Johnston (Avid Sport) covering one another and Gadd’s sharpness to split the race blunted by her misfortune. The front riders have raced one another enough times to know that the result would be finally balanced, with all the front runners justifiably backing their own finishing speed. It was Johnston who seized the initiative first, taking the race on with half a lap to go, attempting to grind her opponents off her wheel before the finish straight. It was Berry who led the pursuit, holding the margin to only a few bike lengths, and it looked like Johnston’s early move would be punished as the race turned into a headwind on the final straight. The line came just in time for Johnston, with Berry only a wheel length behind, closely followed by Charlotte Mallin Martin (VC St Raphael) and Freya Richardson (Hargroves-Montezuma’s and Gadd in 5th place. The result means that Johnston has narrowed Gadd’s lead to 30 points with Lucy Monk (Exeter Wheelers) picking up more points to move into 3rd place overall. 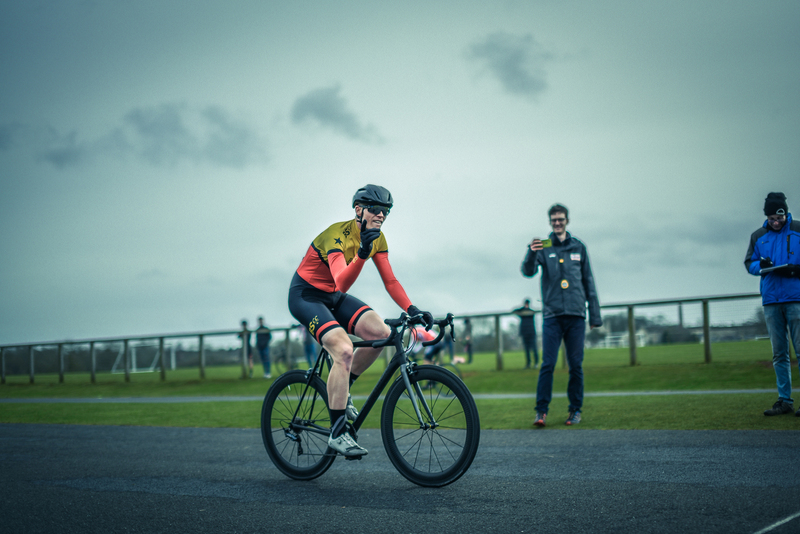 Becky Evans (PDQ Cycle Coaching) has been at the head of the third category riders who are snapping at the heels of the second cats, and in the absence of her closest rivals for the overall series, her 7th place was enough to bolster her comfortable lead. The women’s 4th cat race has proved to be a battle of attrition throughout the series, with the front riders grinding the bunch down to a select group who then battle it out for the win in a sprint. This week was no different, with a select group of six riders distilling as the rest of the pack fell away. 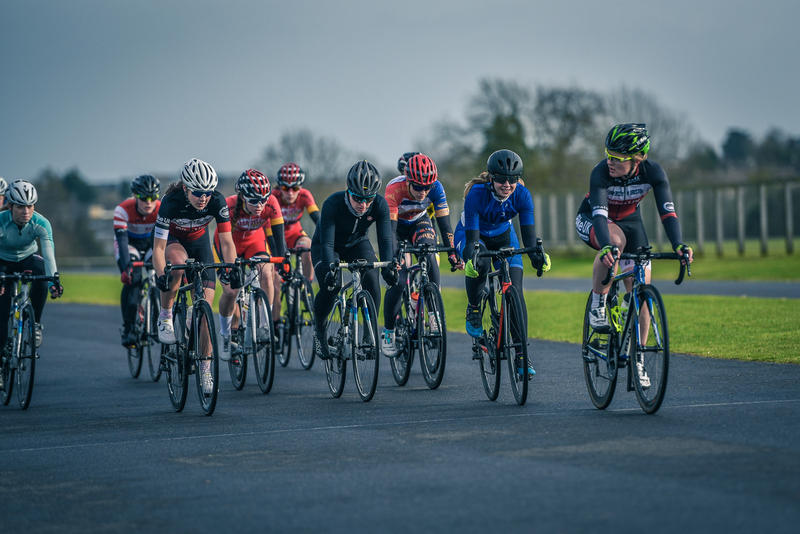 The pattern of the series continued in the sprint as well, with Lucy Collins following up her win in Round 1 with her second win to take her into contention for the overall 4th cat standings behind Rosie Lyon-Smith (University of Bristol CC). Laura Bosomworth has been in the mix at the finish as well with a third and second place finish to her name, and she made it three podium finishes from her three starts with another second place. Kelly Murphy (PDQ Cycle Coaching) made a step up from her 4th place at Round 4 to take her first podium finish of the year in third. Like Gadd, men’s series leader Oliver Beresford (VC Venta) has taken a substantial lead in the overall standings thanks to some commanding performances in breakaways throughout the series. Despite being a lone wolf in amongst some larger teams, Beresford has been able to take advantage of the conditions to wrench moves clear, and Odd Down was prime for a move to go clear once again. 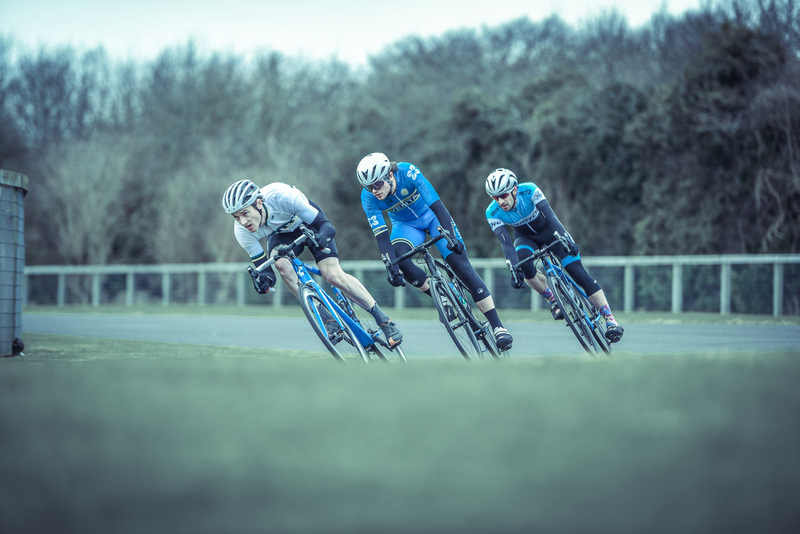 After a dangerous early move from Giles Greening (Tri UK), Iwan Evans (The Bulls) and Callum Anderson was brought back by Andrew Edwards (Bikestrong-KTM) and the combined force of Primera-TeamJobs it was Beresford who powered clear. His move strung the group out, but with only a small gap there was an opportunity for other enterprising escapees to make the bridge. Jared Linden (Royal Dean Forest CC) is a very similar rider to Beresford and alarm bells must have been ringing in the bunch behind as he went across to join Beresford’s effort off the front. Anderson and Edwards were in prime position following their earlier efforts but their time in the wind had taken its toll and they were unable to catch the wheels with Bath CC and Nopinz Latchem Development Team massing at the front to try and respond to the danger. Just as the train was leaving the station, Ross Phelps (Bristol RC) jumped aboard and then the three were away. Will Page (Primera-TeamJobs) is Beresford’s closest challenger in the overall standings and now it was he who came to the front in a desperate bid to bring the trio back but the chase quickly looked futile with no fully organised chase in the main pack. This left the front three well clear to contest the win and Beresford made no mistake, coming in several bike lengths clear of Linden with Phelps having been dispatched in the final lap. Rob Pears (Bath CC) took the bunch sprint behind for fourth. With only three riders successfully splitting the bunch across three of the races on Saturday, it seemed to be a day for the sprinters. This was not the case in the men’s 4th cat race. Nick Livermore (Bristol South CC) and Alexander Pilgrim forged away early at such a pace that Livermore was quickly left out on his own. As Pilgrim dropped back to the chasing riders he fell into a chasing group of just three with Maximillian Ashwanden (University of Bath CC) and Martin Palmer that had ripped the group to pieces in pursuit of the leaders. This ferocious pace did not abate and the group was shredded to the point where the biggest group remaining on the road was six riders. The power was all at the front with Livermore building his advantage throughout and Pilgrim taking the small group sprint for second from Ashwanden.